Metal trap to suit feral cats and possums. All metal trap with a single entry guillotine-style door. Bait can be meat or fresh entrails. All metal construction ensures that it will stand up to rough treatment. Trap ensures that the animal can be humanely caught and relocated to another site if necessary. 62cm long x 21cm wide x 21 cm high. Note that priority shipping is not available for this item. 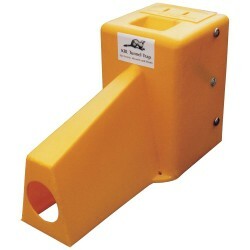 Made of solid metal construction, this trap collapses flat for easy transportation and storage. 66 x.. The feature of these traps is that the animal to be caught is deceived by the clear unobstructed vie.. The Large Bird trap should be set up between 1.6m and 1.8m above ground on a wood pole or post. 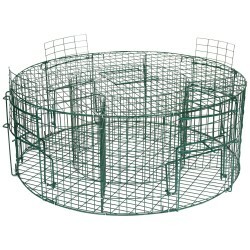 Suit..
Large round cage trap with 4 entrances. A separate central round cage area is for placement of bait .. Simple wire cage trap-door bait trap that catches mice live. Metal cage with wood base. Dimensions..
Our ´double entry´ mouse trap is low-line so it can sit under furniture or out of sight. There is an.. Designed to kill ferrets, stoats and weasels. The small access hole prevents entry of cats, dogs and..